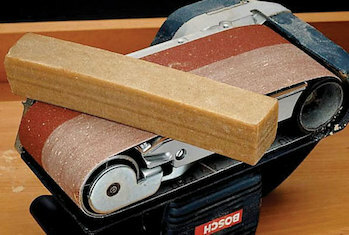 A solid abrasive belt cleaner that removes abraded material that has lodged between the abrasive grains & dulled the cut. Gives the woodworker 3-4 times more life out of a belt. @ SIZE: 2" X 2" X 12"